ICE performed surveying services, utility relocation coordination, all construction management and QA/QC as necessary to ensure the project was built in accordance with the plans, specifications, and contract documents. 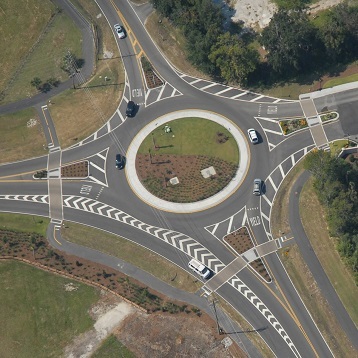 ICE served as the Project Manager for this project which consisted of designing a roundabout at the existing intersection of Squire Pope Road and Gumtree Road. With a length of approximately a half mile, the designs provided for the new construction to tie seamlessly into the existing multi-use paths and aesthetics of Hilton Head Island. ICE redesigned the multiuse path pavement structure saving the Town in excess of $20,000 and assisted the Town in acquiring necessary permits from SCDOT, DHEC and OCRM in order to construct the project. ICE was responsible for coordinating all utility relocations and provided construction management and all inspection related services including material sampling and testing for the entire project. Additionally, ICE provided all quality control and quality assurance measures as necessary to ensure the contractor built the project in accordance with the plans, specifications, and contract documents. This project consisted of providing a roundabout at the existing intersection of Squire Pope Road and Gumtree Road. ICE redesigned the multi-use path pavement structure saving the Town in excess of $20,000.